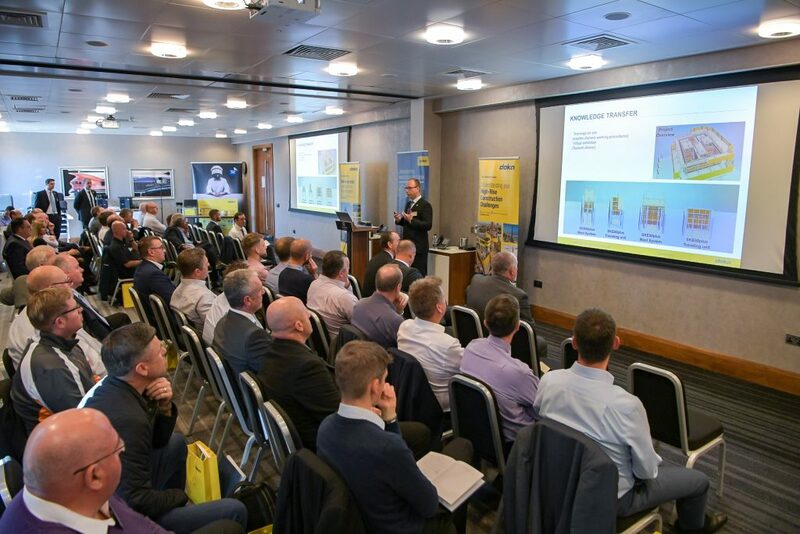 Doka UK, October 18, 2018.- Doka UK Formwork Technologies demonstrate formwork competencies in high-rise construction at ‘How to Build Higher, Faster and Safer’ seminar held in Birmingham. Saving costs, improving speed and advancing safety are three areas in which contractors are striving to better in their construction programs. Doka took on this challenge in the seminar along with in-depth knowledge-sharing of formwork solutions for complex building design. 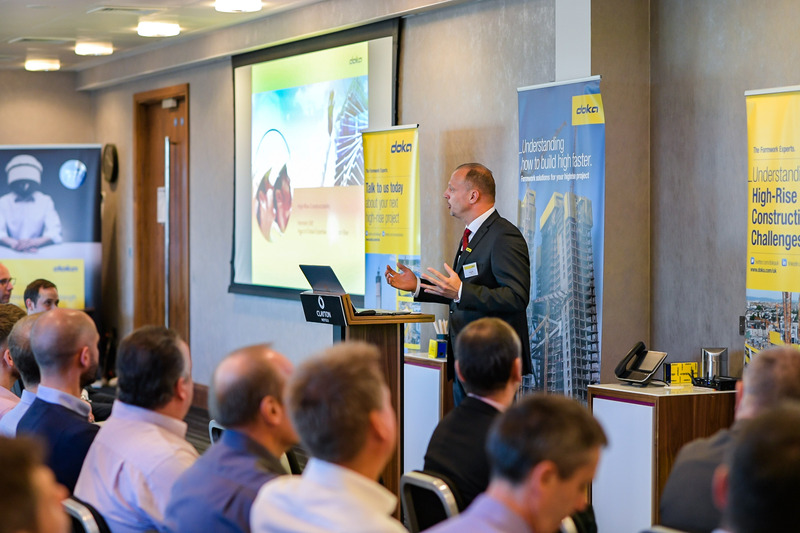 Doka’s high-rise experts, some from the company’s headquarters in Austria, shared presentations, case-studies and in-depth knowledge on the subject. Doka’s award winning digital concrete monitoring sensor, Concremote was one topic of discussion which enabled the audience to understand the benefits of its application in real project situations and its potential to optimise project completion time, mitigate safety risks and reduce labour and equipment costs. 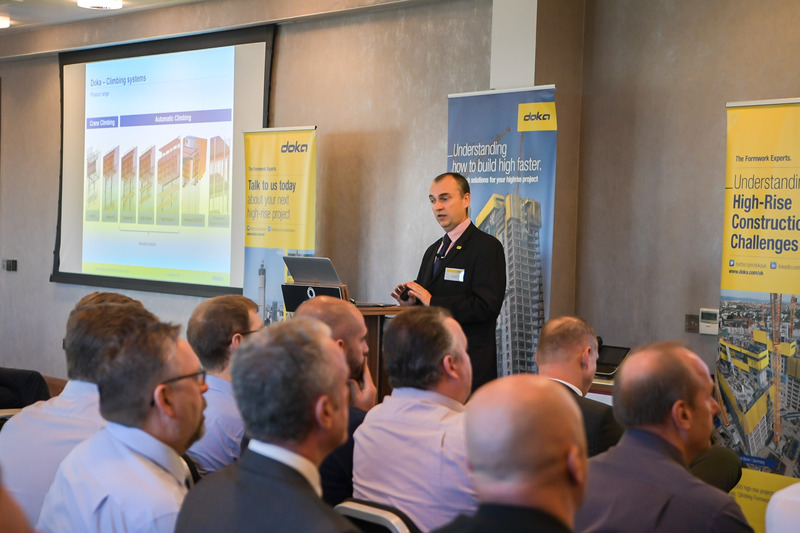 This invitation-only event helped showcase Doka’s involvement in some of the tallest buildings currently under construction in the UK. One Bishopsgate Plaza and The Madison Tower were amongst other high-profile projects discussed at the event, with knowledge shared amongst the audience. Common challenges presented in high-rise construction were also open for discussion, with opportunities for learning and development. 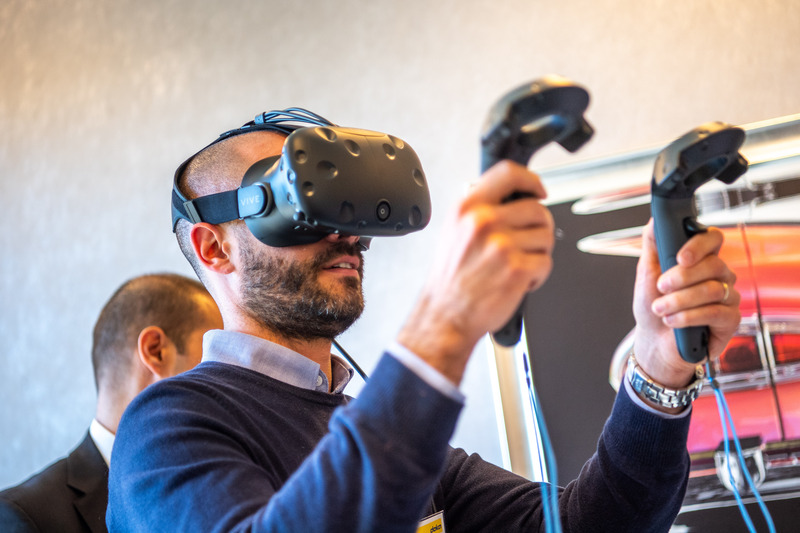 Other interesting topics facing the industry at present are Virtual Reality as well as Building Information Modelling (BIM), with Doka able to demonstrate their focused approach in these specialist areas. 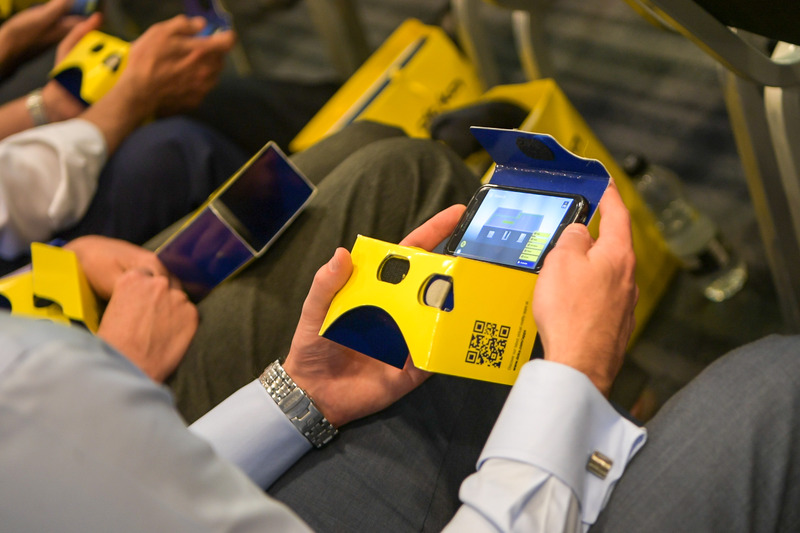 Drawings were brought to life with Doka’s recently launched Augmented Reality App and attendees were also able to find themselves in Doka’s Virtual Reality world, helping demonstrate an immersive understanding of Doka’s capabilities in the high-rise building sector. Some of the UK’s leading Contractors specialising in high-rise design and build were amongst the audience. Describing the event as “thought-provoking” and “exceptionally interesting”, one guest drew to attention the advantages of using Doka systems not only for the construction of high-rise cores, but also for other applications such as demolition and concrete strength monitoring in addition to other areas of construction, including infrastructure projects. Doka is a world leader in developing, manufacturing and distributing formwork technology for use in all fields of the construction sector. With more than 160 sales and logistics facilities in over 70 countries, the Doka Group has a high-performing distribution network which ensures that equipment and technical support are provided swiftly and professionally. An enterprise forming part of the Umdasch Group, the Doka Group employs a worldwide workforce of more than 6,700.